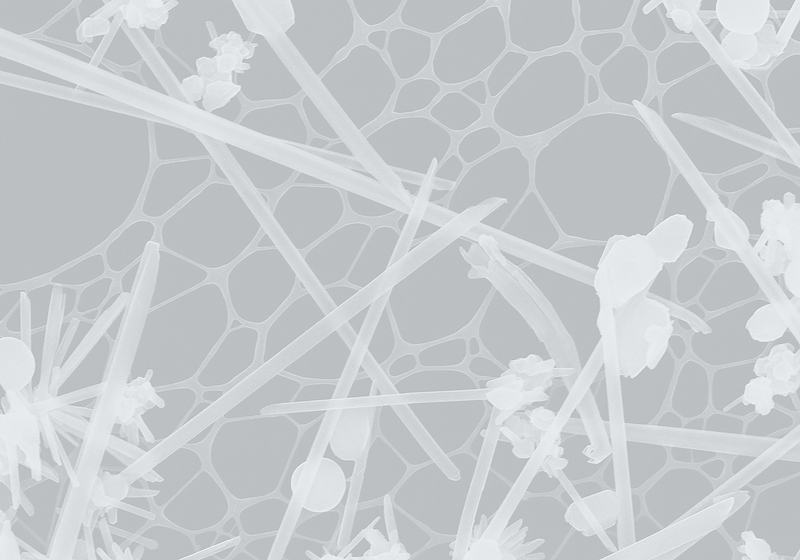 Detailed information about surface morphology, size/shape analysis, local chemistry, crystallography/texture can be obtained with our scanning electron microscopes. The EPIC Lab houses an impressive array of 5 Scanning Electron Microscopes (SEM's), each with its own specialized set of capabilities. 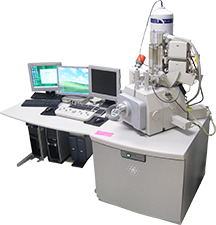 From 1nm resolution imaging, to x-ray microanalysis (EDS), to imaging of pristine materials, to electron beam lithography, the EPIC Lab can help with your sample. 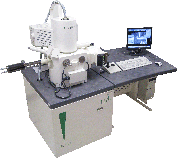 An extensive sample preparation facility exists that aids EPIC's users in optimal sample imaging. In addition to our state-of-the-art equipment, experienced staff members are on-hand to train and assist users with the microscopes and the sample preparation techniques. SEM Introductory Video available in the NUANCE "Education and Outreach" section. 1.4nm resolution at 1kV with beam deceleration. High resolution Through The Lens (TTL) SE detector (upper). In chamber topographical SE detector (lower). Large 5axis computer eucentric stage (110mm x 110mm). Oxford INCA SiLi EDS System. 1.5kV beam deceleration mode for low-voltage imaging. Leica cryo stage with VCT100 transfer system and suite of cryogenic preparation equipment. Contact BioCryo for more information. 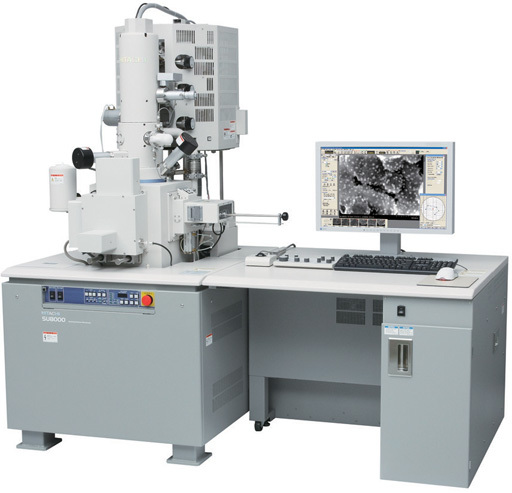 Variable-pressure tungsten filament SEM capable of imaging and analysis of pristine materials. 5 segment solid state BSE detector for low vacuum imaging, with 3D reconstruction capability. ESED II detector for low vacuum imaging. Oxford INCAx-act SDD EDS for elemental analysis. 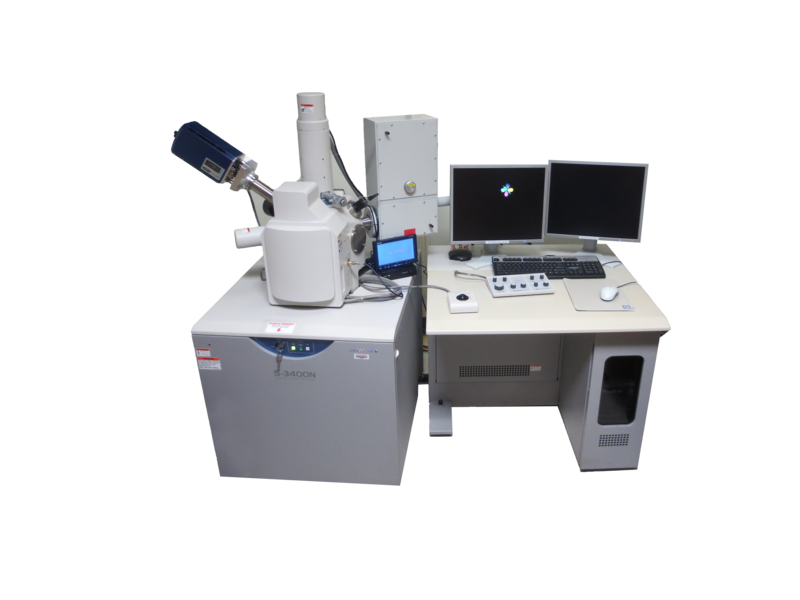 Oxford WAVE WDS system for elemental analysis. Large specimen chamber (up to 8” diameter specimens, 85mm in height). 5axes motorized, computer eucentric stage. 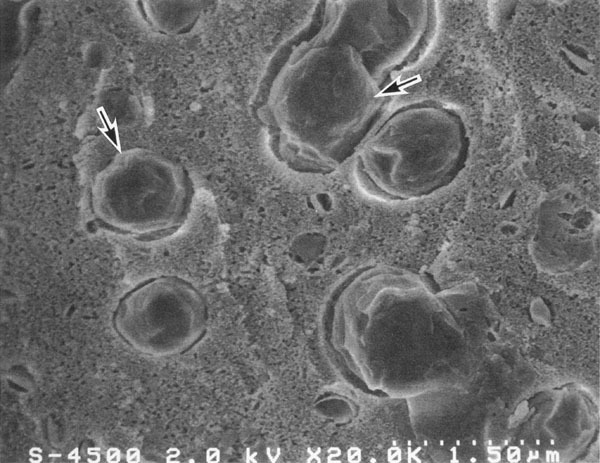 Cold source Field Emission SEM. Spatial resolution of 1.0 nm at 15kV and 1.3 nm at 1kV; Highest resolution SEM in the lab. Super ExB filter allows low kV, high res, BSE imaging and energy filtering. Oxford AZtec X-max 80 SDD EDS detector. 2.5kV beam deceleration mode for low-voltage imaging. Ultra-high resolution. Highest resolution SEM in the lab. Newest EDS detector in the lab able to get the highest number of counts and best energy resolution. New Oxford AZtec EDS software with improves algorithms for calculating quantitative results. Vibration isolation table. The FIB is the only other instrument in the lab so equipped right now. 2.5kV deceleration mode for low voltage imaging. SE(L) mode for enhanced imaging using only the lower SE detector. Gives great topographical information and reduced charging effects over the upper SE detector. ©2019 Northwestern University - All rights reserved.